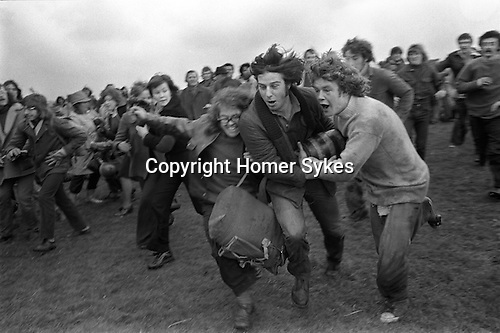 Bottle Kicking and Hare Pie Scrambling. Hallaton Leicestershire. England 1973. Easter Monday annually. Anthony Norman centre with bottle, he made a long run down the hill, and is about to score a goal for Hallaton.